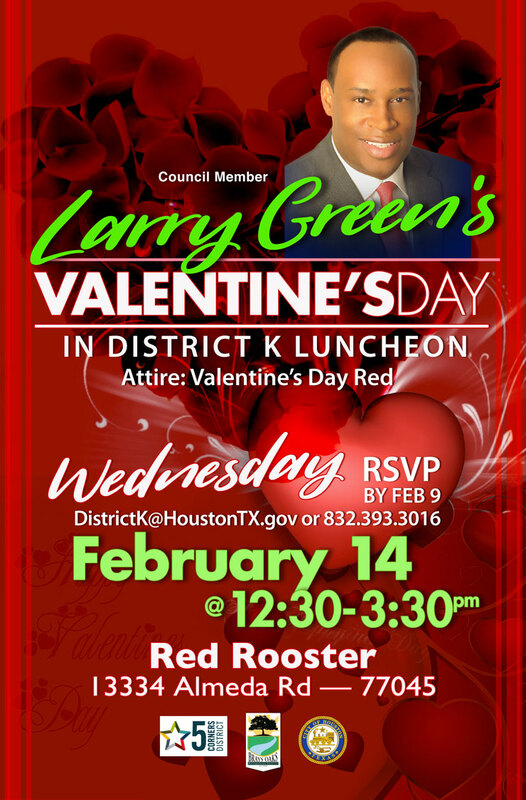 Join us and CM Larry Green on a mission to the Netherlands! 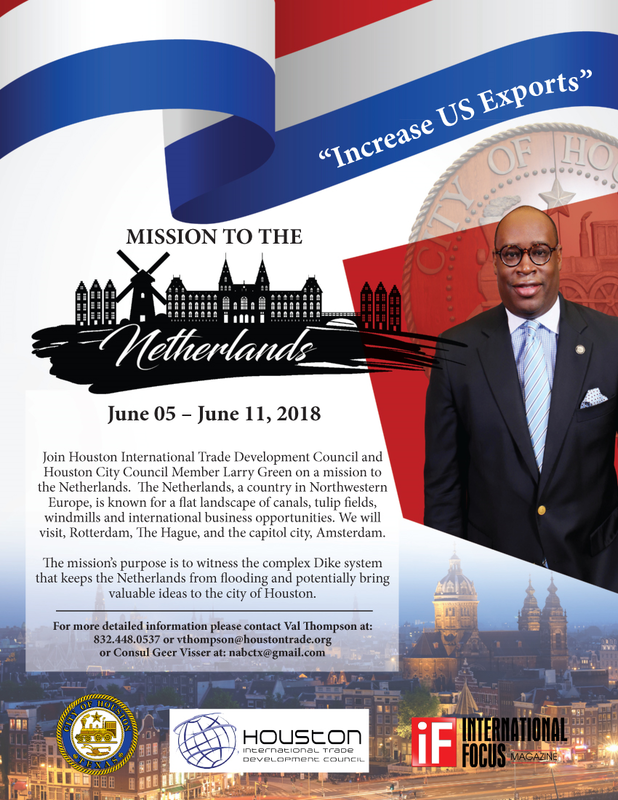 Join Houston International Trade Development Council and Houston City Council Member Larry Green on a mission to the Netherlands. The Netherlands, a country in Northwest Europe, is know for a flat landscape of canals, tulip fields, windmills and international business opportunities. We will visit Rotterdam, The Hague, and the capitol city, Amsterdam. The mission's purpose is to witness the complex Dike system that keeps the Netherlands from flooding and potentially bring valuable ideas to the city of Houston. 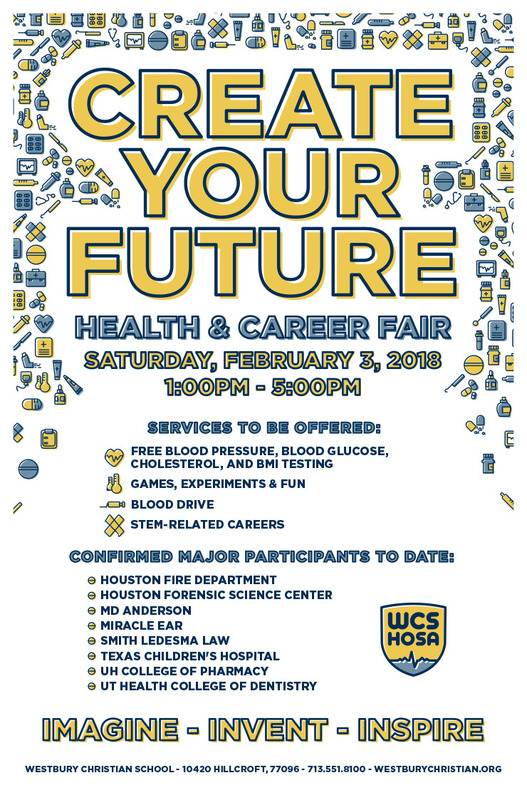 SAVE THE DATE — West Airport Blvd. 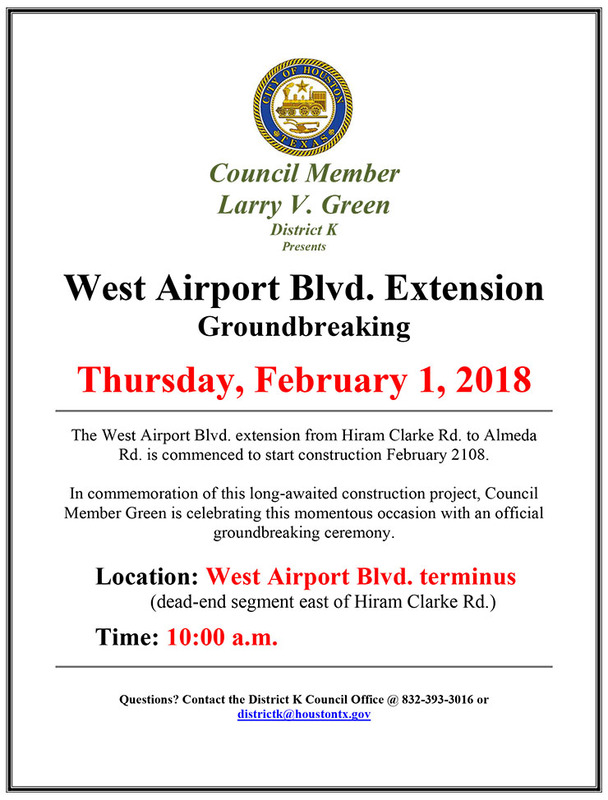 Extension Groundbreaking — Feb. 1 @ 10:00 a.m.